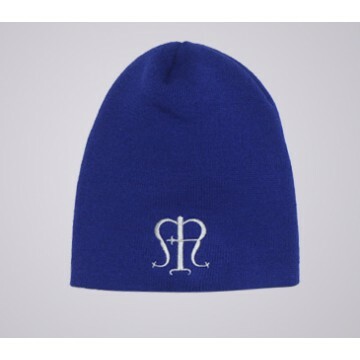 Royal Blue Knit Beanie with Silver Symbol Symbol Name: Monogram of the Blessed Virgin Represents: Virgin Mary Symbol History: There exist various representations of the name Mary. 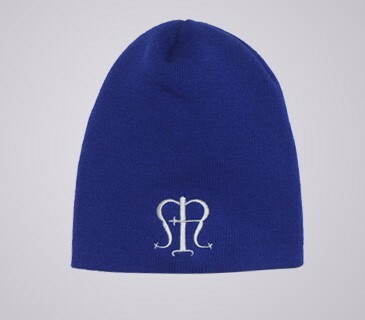 This particular symbol contains all the letters contained within the name "MARIA." It was common for medieval artists to place a crown above the monogram.